KIEV, May 2. /TASS/. Ships of the Standing NATO Maritime Group 2 (SNMG2) entered the Black Sea on Tuesday evening, Ukraine’s Dumskaya newspaper wrote. "The flagship of the group is Britain’s HMS Duncan (D37) missile destroyer. 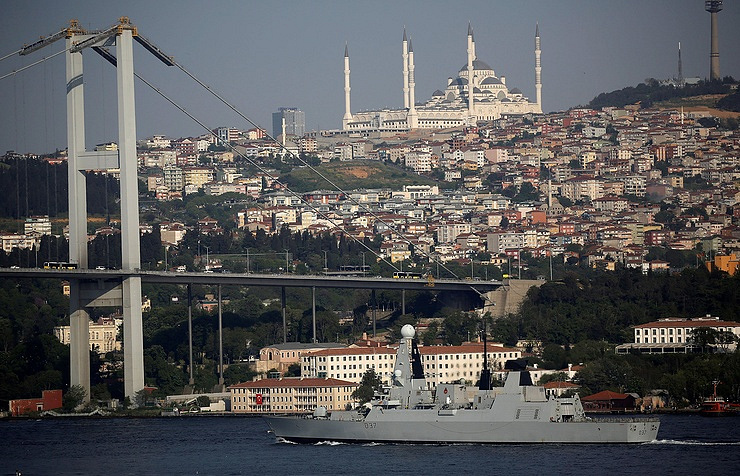 Besides, the group consists of frigates of Spanish Navy's SPS Victoria (F82), Turkish Navy’s TCG Gemlik (F492), German Navy’s FGS Bayern (F217) and also several other smaller ships," the report said. Ukrainian Deputy Defense Minister for European Integration Anatoly Petrenko said on April 24 that the Ukrainian Defense Ministry backed NATO vessels’ presence in the Black Sea. According to him, in 2013 there were only 12,000 troops in the Black Sea Region, and now this number stands at 32,000. There are also more than 100 aircraft and 700 tanks in the region. In 2017, the Ukrainian parliament passed a law stipulating that Ukraine’s NATO membership was one of the country’s foreign policy priorities. Besides, the course towards the membership in the alliance is included in the country’s laws on domestic and foreign policy and national security. 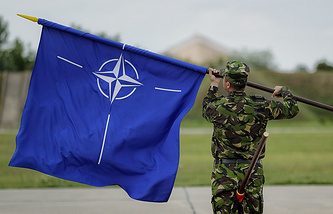 However, the alliance has stated many times that Ukraine has to do a lot to get a status of an aspiring NATO member.